EDMONTON - After cutting $147 million from post-secondary education in the spring budget, Alberta Premier Alison Redford's government restored $50 million of it Wednesday. Advanced Education Minister Thomas Lukaszuk said he learned recently there was extra money at Treasury Board, and he went for it. "I definitely have been the first if not the only minister who has done that (go to Treasury Board)," said Lukaszuk. "This is our priority as the Alberta government." The $50 million is earmarked for enrolment, to either open up new spots for students or to help pay for spots that have already been promised. Lukaszuk said the money is not a one-time payout, but will now be part of the base funding. Alberta's 26 post-secondary institutions have been cutting staff, programs, and services since the spring after Redford's government announced it was cutting $147 million, or seven per cent, of post-secondary budgets. The cuts came despite Redford's election promise to hike spending for post-secondary schools. 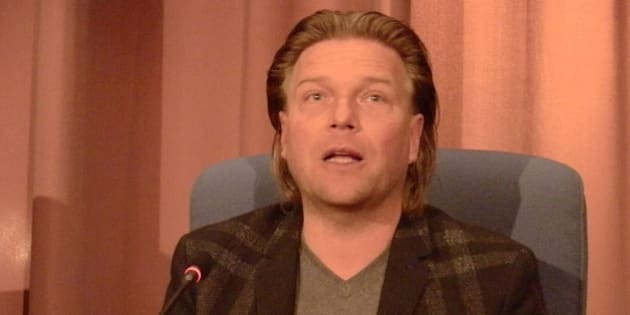 Lukaszuk said Wednesday he knew the budget cuts would be difficult, and promised the heads of the schools in July that if he could find extra money, he would get it to them. "I made a promise and I delivered," said Lukaszuk. Opposition leaders, however, said while the new money is welcome, it's a cruel and incompetent way to run a portfolio so vital to Alberta's long-term economic health. "This is not good management. This is utter chaos," said Wildrose Leader Danielle Smith. "We're already partially into the school year. If you've suspended programs, how do you then restart that process?" Liberal Leader Raj Sherman said the $50 million is a token amount. "They have the money. It's a wealthy government," said Sherman. "They need to restore the funding and invest more in post-secondary (education)." During question period, NDP Leader Brian Mason accused Redford of needlessly damaging the system and jeopardizing the futures of students. "Why did you cut $147 million out of post secondary education, then add $50 million after all the damage has been done?" asked Mason. Redford disagreed that the cuts caused harm. "It think it's incredibly disingenuous to talk about systems that have been damaged or destroyed," she said. "We now have a system that is responsive to student enrolment programs to ensure that we're supporting students (and) addressing their demands." Mason replied: "I think the premier is delusional. This government couldn't run a lemonade stand." All opposition parties said the $50 million is politically motivated to buy more goodwill for Redford before she faces a mandatory Nov. 22 leadership review vote by Progressive Conservative party faithful. "I think what you're seeing is we've got an Advanced Education minister and a government that made major mistakes and is facing major pushback," said Smith.